Concrete Scanning from Control Point Associates, Inc. Working in concrete poses hidden dangers. Whether it’s new construction or a renovation project, there is usually a need to cut or core a concrete slab. Encountering rebar, electrical conduit, post-tension cables, or other structural elements can be costly. It will wreak havoc on your schedule and create a safety hazard for your employees. Control Point Associates, Inc. can locate these hidden risks with our state-of-the-art Ground Penetrating Radar (GPR) technology. 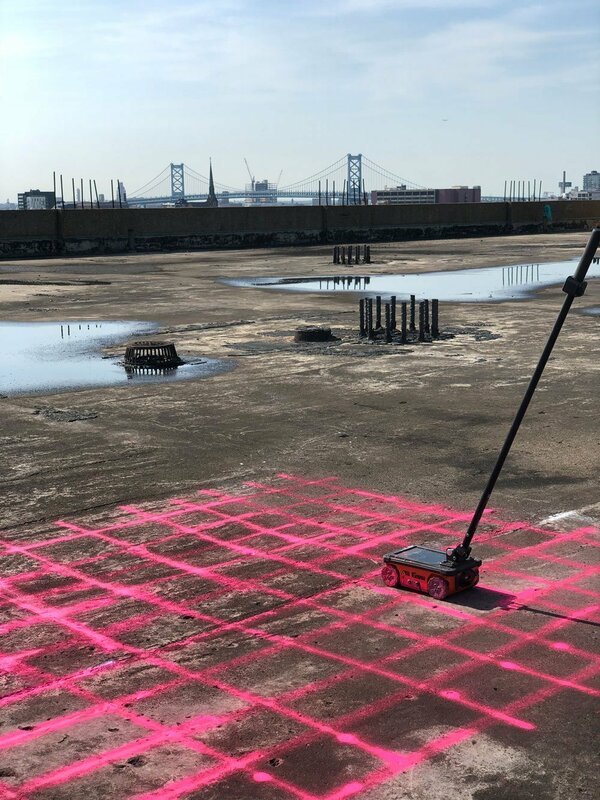 Ground Penetrating Radar is a non-invasive, non-destructive way to produce a cross-sectional view of objects embedded within concrete, as well as detecting voids and measuring slab thickness. 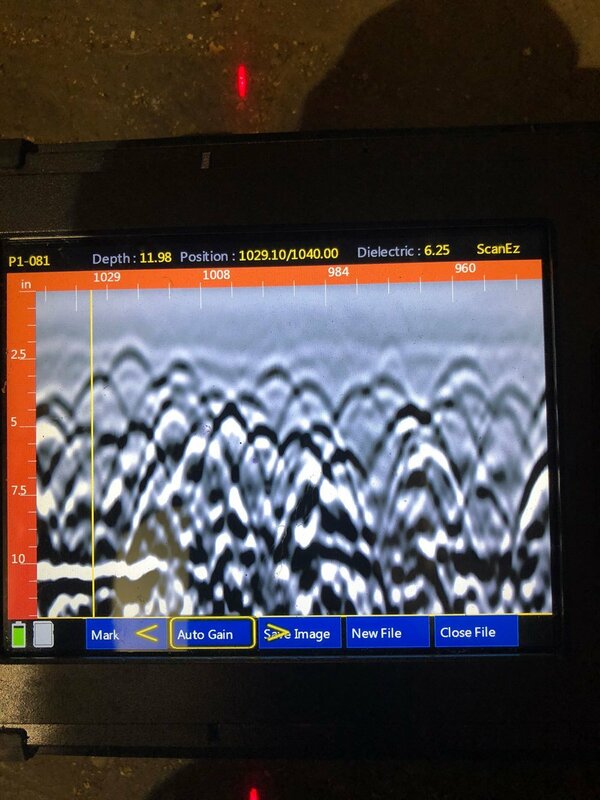 Our technicians scan concrete structures in real-time, providing immediate results right in the field. The GPR signal is harmless, requiring no special permits or exclusion zones, unlike traditional x-ray methods. High-resolution concrete scanning is the most reliable, non-destructive way to locate hazards within structures before cutting or coring. 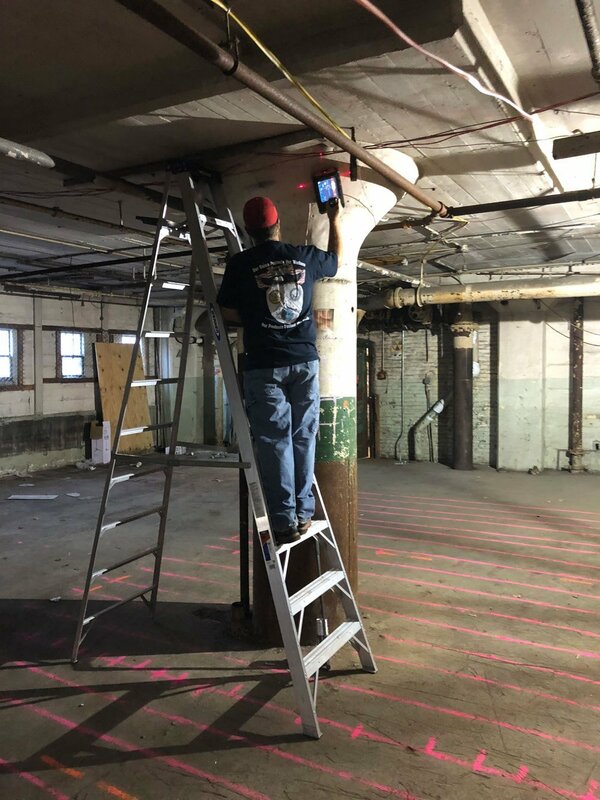 Control Point Associates, Inc. is able to scan many types of concrete structures, including suspended slabs, slabs-on-grade, columns, beams, and tilt walls. Contact us today to find out more, and gain peace of mind on your next project. Check out our Subsurface Utility Location page to learn about the other utility locating services we provide.